The Medicare fraud trial of Salomon Melgen is underway. After several false starts, it appears the trial is finally on the move. 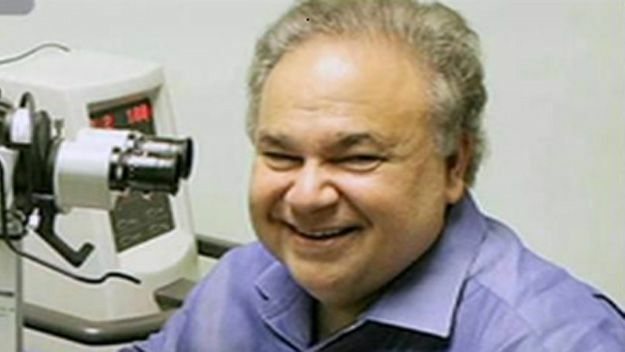 The 62-year-old West Palm Beach ophthalmologist faces a 46 count indictment. If convicted, he could spend the rest of his life behind bars. She says that Melgen lied about the diagnoses of his patients, lied about their treatment and even lied about their prognosis for recovery. The government claims that Melgen was more interested in profits than his patients. In one case, prosecutors claim that Melgen treated a glass eye. Lest someone think that might have been an honest mistake, Bell says the Melgen submitted 44 claims for repeated tests on a glass eye. Melgen’s lawyer, Matthew Menchel, claims that prosecutors are cherry picking facts. Of thousands of treatments provided, they are simply focusing on the ones where mistakes took place. He told jurors that prosecutors could not provide a shred of evidence against his client. According to Menchel, “There is an old saying that when you look at the world through a dirty window, everything looks dirty.” He did admit, however, that Melgen’s staff may have made some “honest mistakes”. Mistakes or Medicare fraud? That is what jurors will have to decide over the next 6 weeks. The indictment says that many of the patients seen by Dr. Melgen were diagnosed with age-related macular degeneration (“ARMD”). AMF is a leading cause of blindness among senior citizens. A small number of AMD patients suffer from a rare form of the disease known as wet macular degeneration. In the 1990’s new technology was developed to allow eye specialists to better examine a patient’s eyes. The new technology is analogous to ultrasound but uses light beams to image the inner core of the eye. Modern technology has also developed new techniques for using sound waves and special dyes to image the inside of an eye. All of these technologies are expensive. Some, like using injected dyes, are also invasive. There are treatments that can slow or even temporarily stop the progression of the rarer wet macular degeneration. Unfortunately for patients, there are no approved treatments yet for the more common dry form of ARMD. Ultimately these patients will suffer blindness. Prosecutors say that Dr. Melgen was operating a patient mill. He would advertise for patients and often see hundreds within a week at his Palm Beach, Florida clinic. On some days, he would see 100 or more patients. Many of those patients were receiving Medicare. Worse, the indictment claims that many of these patients did not have macular degeneration. Telling a patient that he is losing his eyesight is cruel. If the indictment is true, Melgen caused unnecessary stress for hundreds or thousands of families. Sometimes patients with incurable dry ARMD would be diagnosed with wet ARMD. That causes a false expectation of hope. By diagnosing wet macular degeneration, prosecutors claim that allowed Melgen to engage in expensive – and sometimes painful – therapy even though the therapy could not be effective. Once the patients were given a false diagnosis, prosecutors say Melgen required his patients to come back for treatment. Medicare only pays for treatment that is medically necessary. According to the indictment, Melgen was requiring patients to return for multiple tests and treatments, many of which had no therapeutic value. Some of the tests were even invasive such as giving patients injections of special dyes. The indictment says that some patients received repeated laser treatments. Developed in the 1970’s focal laser photocoagulation involves shining a super high intensity light beam into an eye. The light is so powerful that it burns or cauterizes blood vessels. Today laser treatments are not commonly used but are still an approved method of treatment. Many of Melgen’s patients received a medication called Lucentis. Sold in single patient vials, prosecutors say that he was using the same vial of medication for up to 4 patients but billing Medicare as if each patient received their own vial. In just five years, Melgen billed Medicare for an astonishing $190 million. The government says that much of the money he received from the program was because of Medicare fraud. One 82-year-old patient, identified as “Anna B.”, purportedly received $406,000 of testing and treatment including 79 Lucentis injections and 26 laser treatments. Another patient allegedly received over $100,000 of treatments on an eye that was blind! Yet another patient had 96 tests and procedures performed on a prosthetic eye. The Medicare fraud charges against Salomon Melgen are being tried in a Florida courtroom. In a separate indictment, he is charged with paying bribes to U.S. Senator Bob Menendez. That case is scheduled to begin this fall in New Jersey. Melgen and Menendez were both charged. Federal prosecutors say that Melgen took the senator on trips to France and the Dominican Republic. In return, they say the senator intervened on Melgen’s behalf when Medicare officials began to question Melgen’s billing practices. Both men are presumed innocent until proven guilty. If convicted on just the Medicare fraud charges, Melgen could face over 400 years in prison. South Florida has the highest rate of Medicaid and Medicare fraud in the nation. Some estimate that more than ten cents of every dollar of healthcare spending in the Miami area is lost to fraud. With so many Floridians receiving Medicaid, Medicare or VA benefits, that means that taxpayers are losing billions of dollars each year. Because Medicare and Medicaid are funded with tax dollars, Florida Medicare fraud hurts everyone. When the fraud involves unnecessary treatments, hospital stays or surgeries, patients suffer even more. Medicare and Medicare fraud has reached epidemic levels. The FBI says that healthcare fraud costs society tens of billions of dollars per year. Sometimes, like in this case, the fraud may cause physical or emotional harm. Although prosecutors have not alleged that any patient was physically harmed, some likely suffered pain and were emotionally distraught to learn that they were losing their eyesight when in fact they were not. Investigators and Medicare auditors simply can’t examine every physician’s billing practices. In fact, less than 1% of all healthcare providers get examined each year. The situation in Florida is particularly critical. Prosecutors and investigators rely on whistleblower tips to identify fraud. Without you, taxpayers lose more money, patients suffer and the cost of medical care skyrockets. The only people who benefit from Florida Medicare fraud are the criminal wrongdoers. The best weapons in the war on healthcare fraud are whistleblowers. Many of these whistleblowers are employees or co-workers of the wrongdoers. We have seen cases brought by billing clerks, medical coders, insurance specialists and even other doctors. Under the federal False Claims Act, whistleblowers with original, inside information about fraud can earn an award of up to 30% of what the government collects from wrongdoers. To collect an award, you need an attorney. Calling a toll-free number won’t qualify you for the large percentage awards. Most lawyers that handle Medicaid fraud whistleblower cases usually charge on a contingent fee basis. That means no legal fees or costs unless they collect money for you.